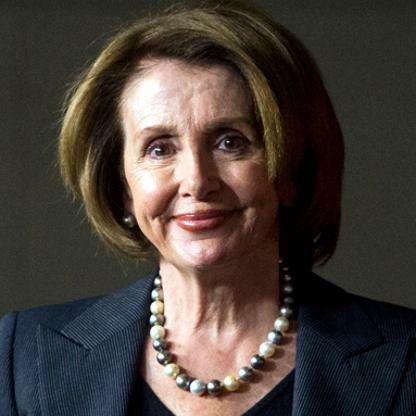 WASHINGTON – Truth Wins Out announced its support today for Rep. Nancy Pelosi’s (D-CA) bid to become Speaker of the House. She has earned our support though decades ofloyalty to the LGBT Community, she has shown leadership on key progressive issues such as the environment, AIDS/HIV, and healthcare, and Pelosi has the much-needed experience to handle cunning Senate Majority Leader Mitch McConnell (R-KY), as well as the erratic and corrupt presidency of Donald Trump. From the beginning of her career, Pelosi has fought for LGBT equality and advocated on behalf of people living with HIV/AIDS. She was instrumental in passing The Affordable Care Act, which helped millions of Americans including LGBT people. Pelosi is also the first woman to be House Speaker, making her an historic figure that has advanced the careers of women and improved their lives. In 2010, Republicans spent $65 million attacking Pelosi in ads; the Republican National Committee hung a banner from its headquarters that read FIRE PELOSI. The attacks have often borne more than a tinge of sexism; in 2012, when Pelosi, as minority leader, wielded less power than the Senate’s Democratic majority leader, Harry Reid, Republicans’ negative television ads were seven times as likely to mention Pelosi as Reid, according to the Wesleyan Media Project, which tracks political advertising.